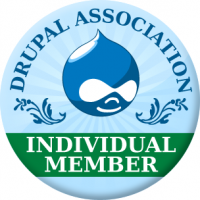 The goal of Drupal Servers is to provide helpful information on Drupal themes, Drupal modules, and Drupal distributions. We are constantly adding new Drupal projects, and adding new features to the site, so check back often, or Subscribe to our RSS feed! Business lite is a Professional Business Theme perfect for any business with a featured slide show. Business Lite is a wordpress theme created by CyberChimps. The drupal port was developed by Zyxware Technologies. Hatch theme is a simple and minimal portfolio theme for photographers, illustrators, designers, or photobloggers. Hatch is a wordpress theme created by Griden. The drupal port was developed by Zyxware Technologies. This theme is based on the 960 Grid System. This is a port of popular Lightword theme from wordpress. Lightword is a clean div based fixed width, 2 column layout theme with a an option to switch to a wider layout. The original wordpress theme was created by Andreiluca. The drupal port was developed by Zyxware Technologies. Likable Clean Theme is a clean, multi-column Drupal 7 theme with many block regions and a slideshow ready for use. This theme supports the Superfish module. Elegant Blue is a fixed width (940px) theme. The theme is not dependent on any core theme. Its very light weight for fast loading with modern look. - Custom front-page with 1 Welcome text block and 3 column block with theme settings available. Elegant Theme is a very modern and professional Drupal 7 theme giving your endless possibilities. It has a very clean, minimal and elegant design perfect for any corporate business, portfolio or blog site. Overall Elegant Theme looks quite simple yet it does seem to have some very powerful features. SigmaOne is an advanced theme framework for designed for novice user to advanced user. It provides easy to use configuration area GUI for novice user to use. The goal is to let user configure the layouts of their site without touching a single php code. For more advanced user, they can turn off the GUI and use easy syntax similar to Drupal .info files to define their custom layout easily. Drupal Servers is now running Drupal 7! Drupal Servers is now broadcasting to you live on Drupal 7! It is also now sporting a fancy new look with a custom Responsive Drupal theme that I am calling Agnostic, which I created as a sub-theme for Fluid Baseline Grid. FBG is a Drupal 7 theme that I contributed to Drupal.org as a proof of concept originally for bringing a very lightweight responsive theme to the Drupal CMS, but has spawned into my favorite theme I have developed so far. Feel free to start browsing Drupal Servers on your phone, tablet, or TV. Read more about Drupal Servers is now running Drupal 7! Plato is a sub-theme for Sasson. It is a Drupal 7 theme, created as part of the OpenIdeal project but realesed as a standalone theme as well.